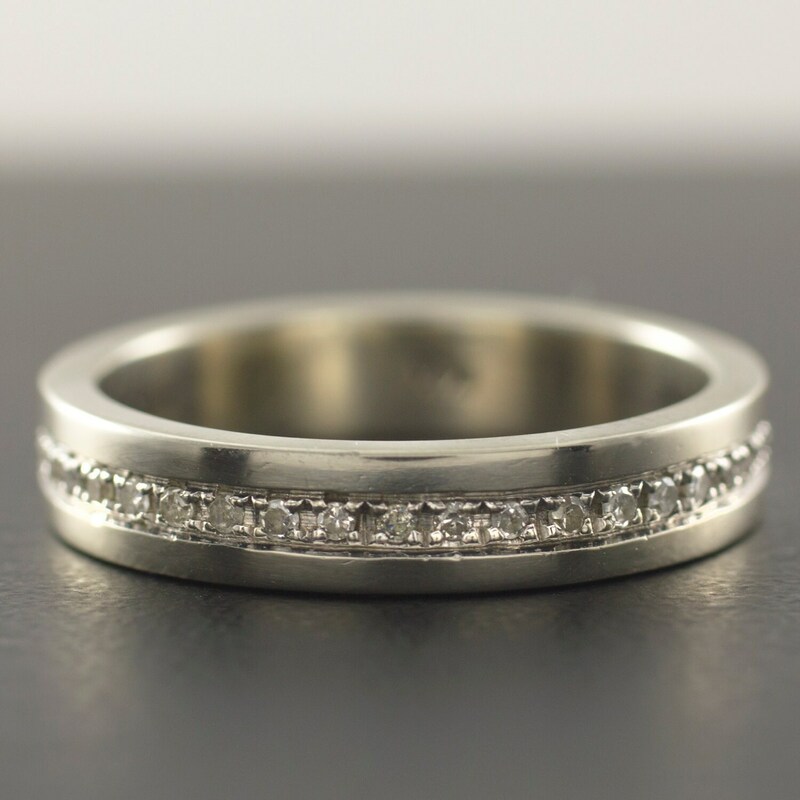 This listing is for a classic and elegant 14K white gold wedding band featuring row of bright and quality diamonds. The band features 20 diamonds, channel set on the 14K Gold band of your desired gold color. 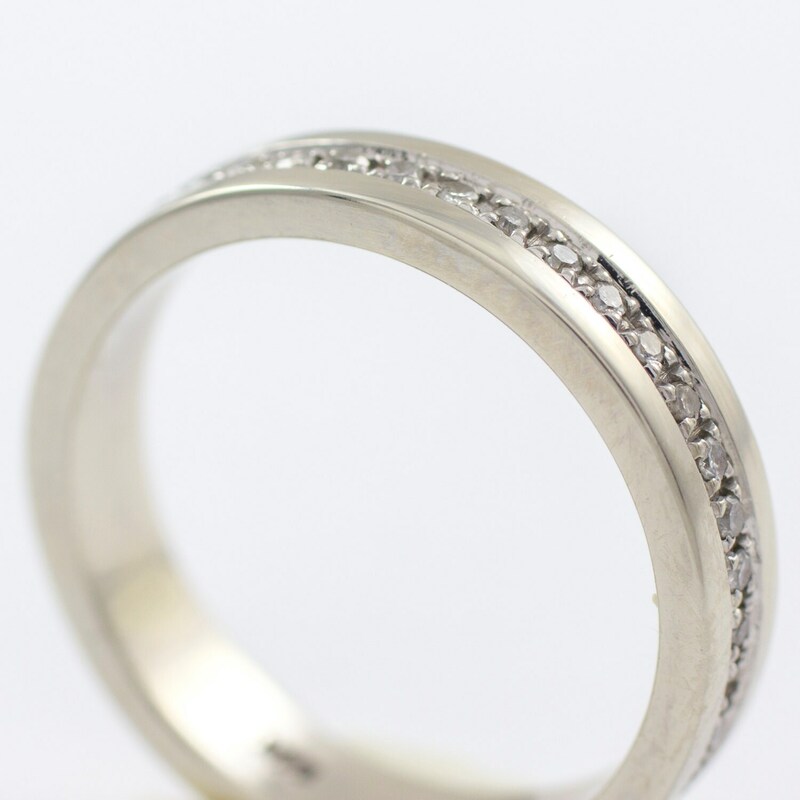 This channel set weeding band is always known in its design and does not go out of style. The band is casted and made as a whole piece with no seams of soldering. You my check out below Gemological Institute of America (GIA) website for details about diamond color, clarity, cut, carat weight and other related information. Please contact us if you have any questions or requests. 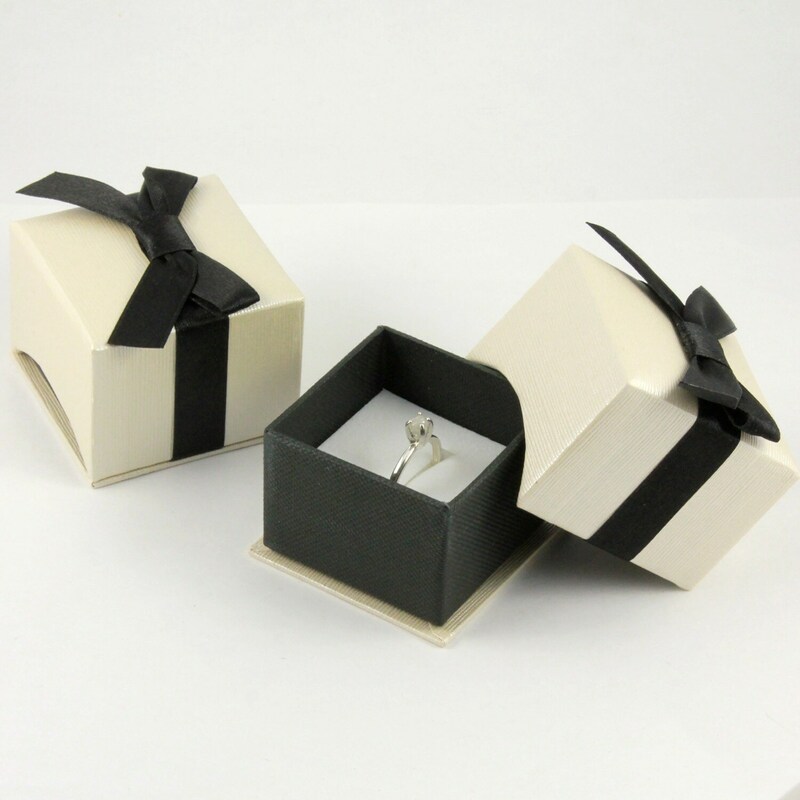 Discount will be applied if you purchase two of the bands making a set band for his and hers. While our production time is up to 5 days for our rough diamond rings or any other jewelry, we will need 3-5 weeks to complete this band. We may try to speed up the process if you need the band quicker, please contact for timing. 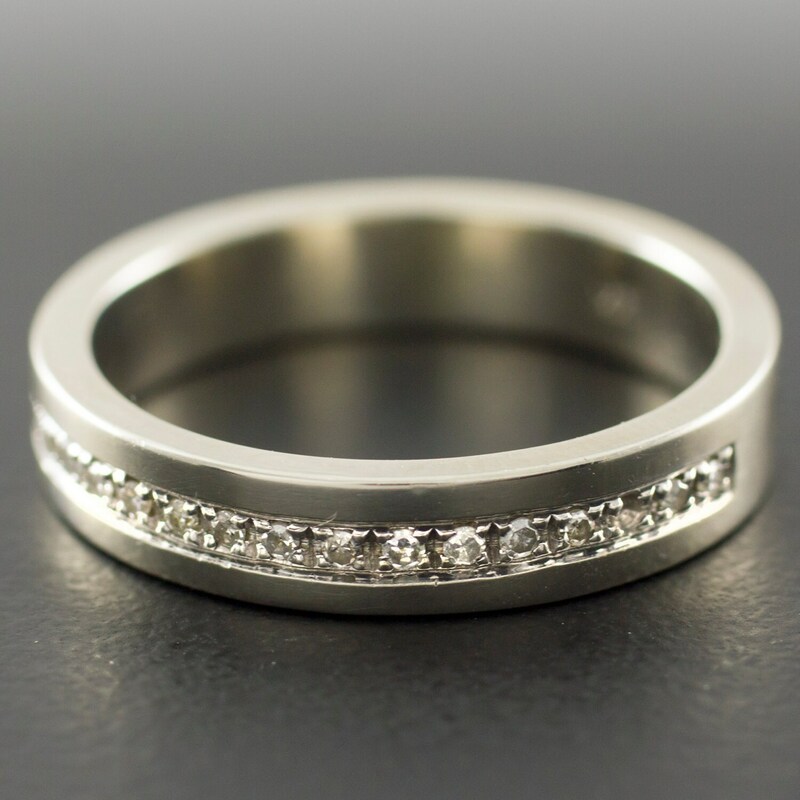 We can make the band with diamonds in different size and specification per request, which will affect the price to be higher or lower. Please contact us for a quote. The band can also be made in Yellow and Rose gold in both polished and matte finish. Please leave comments while checking out if you would like to order the band in any of the combination of the gold selection and the finish.